The number of women working in the field of cinematography has always been, and remains, remarkably poor. 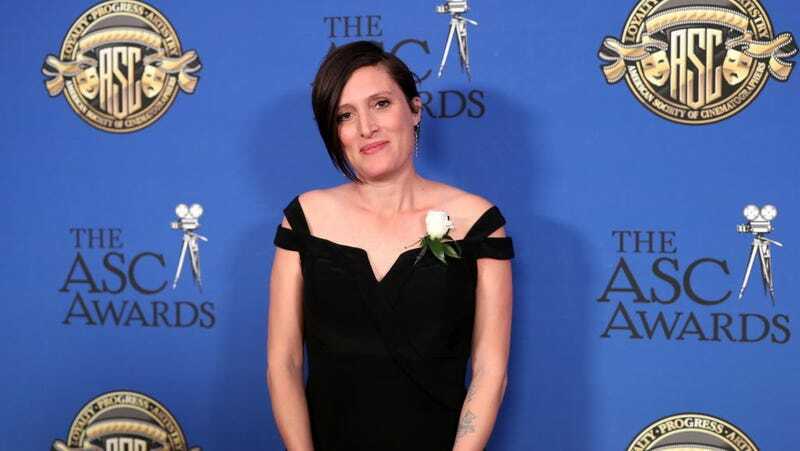 In a piece about the historically low number of women DPs in Hollywood, The Washington Post notes that membership in the American Society of Cinematographers has grown “painfully slow,” with only 18 women out of roughly 375 members. Women often struggle to break into and move up in the field due to pure sexism—because cinematography is a technical field, defined by heavy equipment, cameras, and lighting, women are often perceived as incapable. “I remember when people would say a camera was too heavy for women to lift. That’s how bad it was,” ASC President Kees Van Oostrum told the Post. Compared to all other major film jobs, the number of women cinematographers for movies in the top 250 box office is the lowest, at just four percent, according to a previous report by San Diego State University’s Center for the Study of Women in Television and Film. Other barriers exist. Cinematography can reportedly be cliquey, film schools aren’t often encouraging women to go into the field, and there’s a lack of programs in which women can shadow other cinematographers. But women have long been camera operators and worked in what we’d now call cinematography, as Pamela Hutchinson recently wrote for The Guardian, citing the work of women in the early 20th Century, like Laura Bayley, Margery Ordway, and Dorothy Dunn, to name a few.